Such a cute wig! 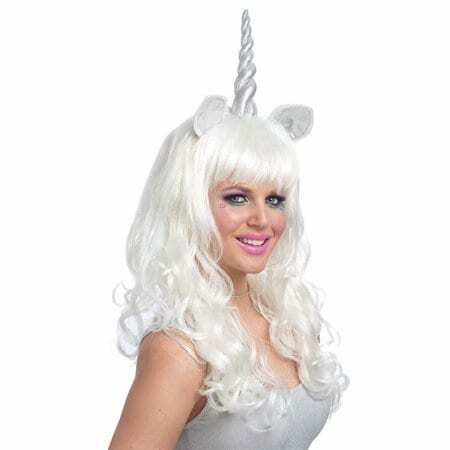 This unicorn wig is available in white, which has some tinsel strands weaved throughout the wig, and is also available in pink. Unicorn horn and ears are sewn into the wig which helps it stand straight up once you put the wig on your head. Such a cute wig! 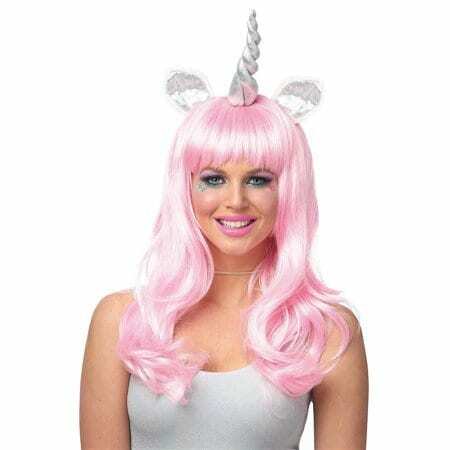 This unicorn wig is available in white, which has some tinsel strands weaved throughout the wig, and is also available in pink. (Item #24958-26-5) Unicorn horn and ears are sewn into the wig which helps it stand straight up once you put the wig on your head.